One of my friends inspired me to try porridge for breakfast while she stayed at my place. Since I’m in Sweden at the moment and its freezing here, I thought I’d try porridge for a while since my morning smoothies make me freeze even more! It’s so uncomfortable. Trough som experimentation I’ve come up with a filling and delicious porridge that I look forward to start my mornings with. 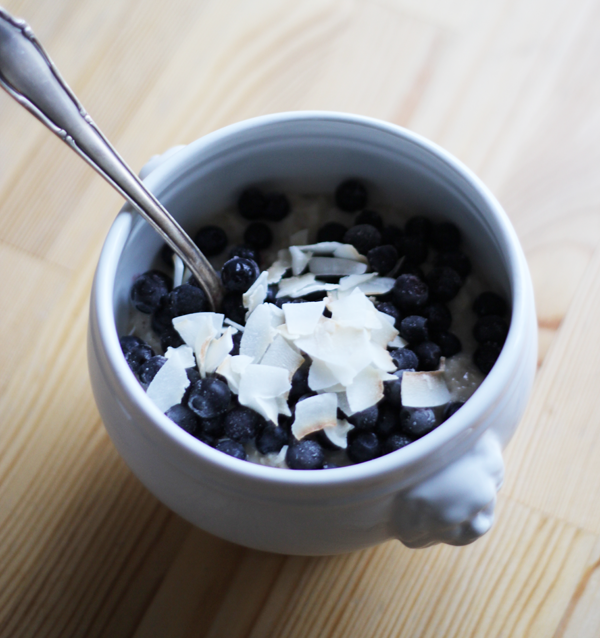 Add oats to a small pot, add water and coconut milk. Bring to boil while stirring. Remove the pot from the stove, add the porridge to a bowl. Add coconut oil and coconut sugar, stir. Add frozen berries and sprinkle roasted coconut flakes on top.